German chancellor Angela Merkel defended her coalition government on Sunday (11 February) in the face of criticism from her own christian-democrat party (CDU/CSU) and division between social-democrats (SPD). In a TV interview, she admitted that granting the finance ministry, one of the most influential portfolios, to the social-democrats was "painful" for her party. But she said that it was an "acceptable" price to pay to form a government. 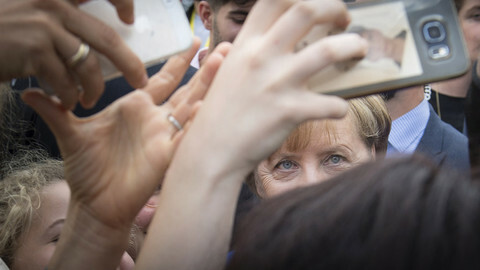 "I have to ask myself what is responsible," she said, insisting that Germany could not afford coalition talks to fail a second time since the elections last September. Merkel - who, after weak elections results, struggled to form a government, first with the liberals and Greens and then with the social-democrats - denied that she was losing authority. She said that she wanted to be chancellor until the end of the legislature in 2021. "The four years are what I have promised. And I belong to those people who keep their promises," she said. 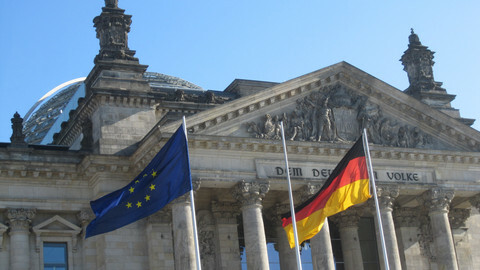 While the coalition agreement reached last week was welcomed with relief across the EU, the setting up of the new government is still under threat in Germany. 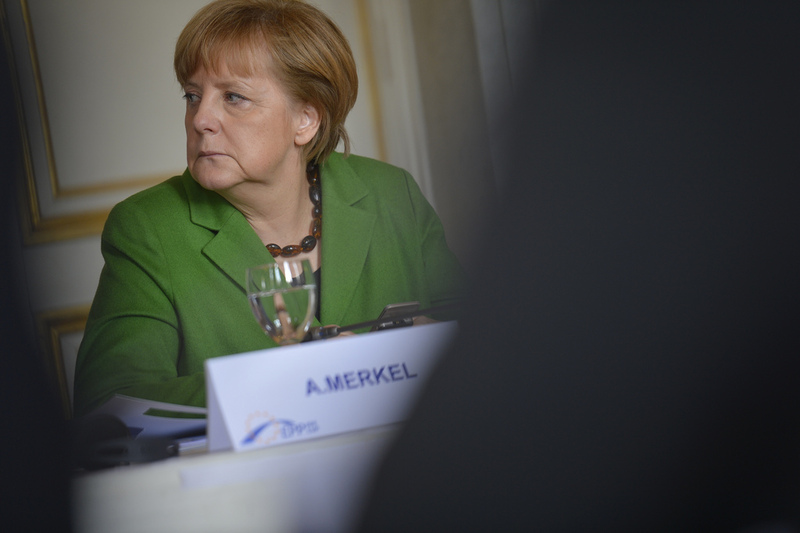 Some in the CDU have suggested that Merkel should start preparing her departure from power, and calls for a renewal will be discussed at the party congress, on 26 February, when delegates will have to endorse the coalition. 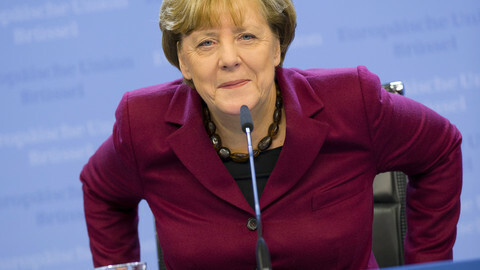 On Sunday, Merkel insisted that she would remain party leader as long as she is chancellor. She explained that both positions "go hand in hand, in order to be able to lead a stable government." She said, however, that the party needed to "show that we can start with a new team," and she promised that "not only the over-60s are considered [for ministers] but also younger people." Meanwhile, the SPD is debating whether to accept entering a new coalition with the CDU, after the previous one, lasting until last year, led to the party's worst electoral result. 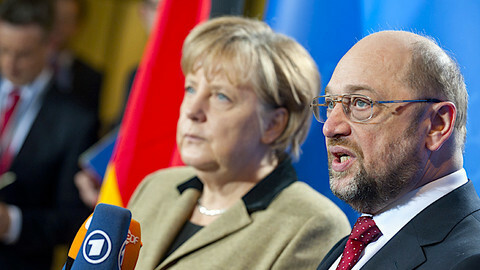 On Friday, SPD party leader Martin Schulz renounced taking the foreign affairs ministry. He was criticised for accepting a coalition and a position in it, after having said for months that he would refuse both. He said he hoped that his withdrawal would "put an end to the personnel debate within the SPD," and help party members to endorse the coalition, in a vote planned on 3-4 March. But the lead figure against the coalition agreement in the party, SPD youth wing leader Kevin Kuehnart, insisted over the weekend that the problem was political, and not only about people. 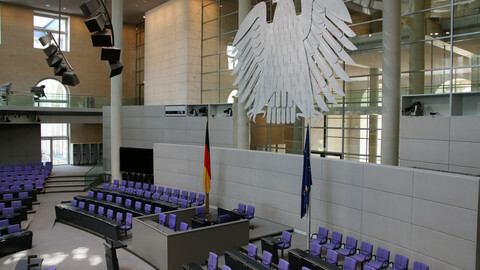 In her Sunday TV interview, Merkel tried to downplay concerns that the SPD would reject the coalition. 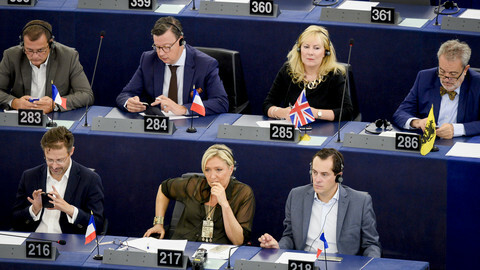 She said that, for her, the agreement with the social-democrats was "fixed". Merkel's Christian Democrats and the Social Democrats took a step closer to ending five months of politico limbo - to Europe's relief. But the deal still has to be approved. Christian Democrats and Social Democrats were still negotiating in the early hours of Wednesday. But the already agreed chapter on Europe is the "most Europeanised approach for years", says one expert. 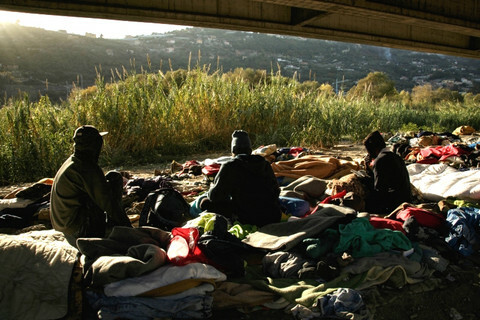 German party leaders were unable to agree on forming a coalition as internal divisions and policy spits on issues like family reunification for refugees remain too wide. The result of the Social Democrats members' vote on a new grand coalition with Merkel's Christian Democrats will be known on Sunday. A 'Yes' is expected across Europe. 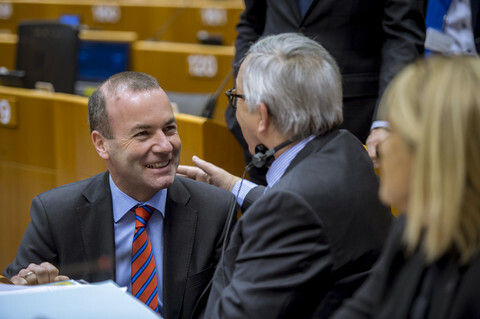 The Social Democrats' green light for a coalition with the Christian Democrats will allow Germany to start projects with France and for more investment in Europe.